Second circular of M&BE10 has been released. The pdf file can be downloaded from here. Abstract submission for poster deadline was extended until 21, April, 2019. 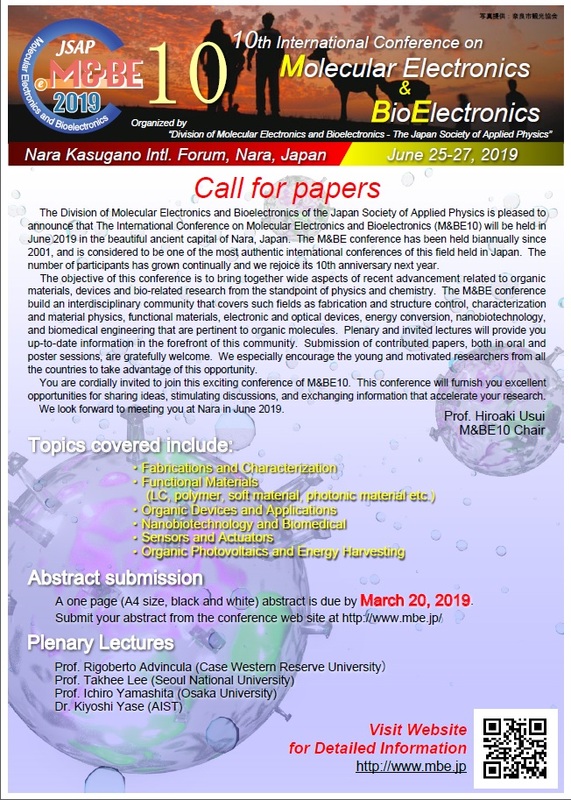 Abstract submission deadline was extended until 5, April, 2019. Programs page (Invited Speakers) was updated. Registration site for MBE10 will be opened on next February. Societies of cooperation with MBE10 (in Top page left bottom) were updated. 1st circular was released. (PDF). 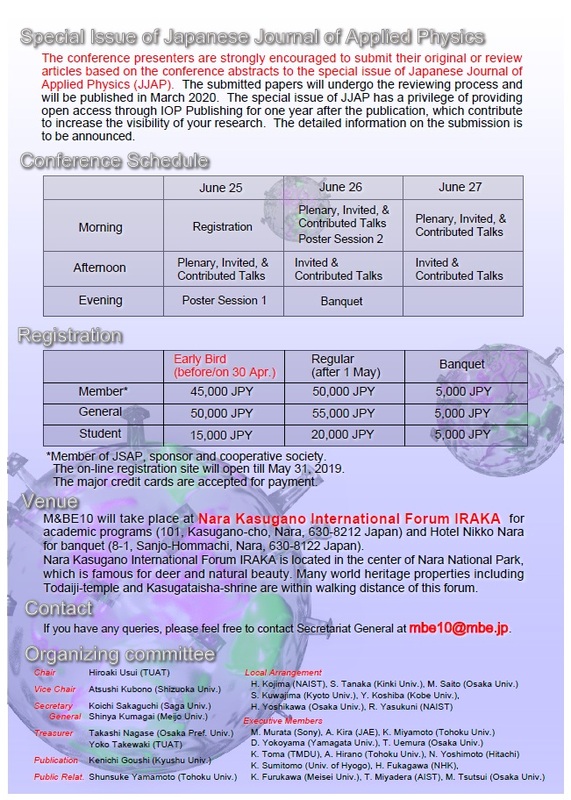 Nara Kasugano International Forum IRAKA is located in the center of Nara National Park, which is famous for deer and natural beauty. 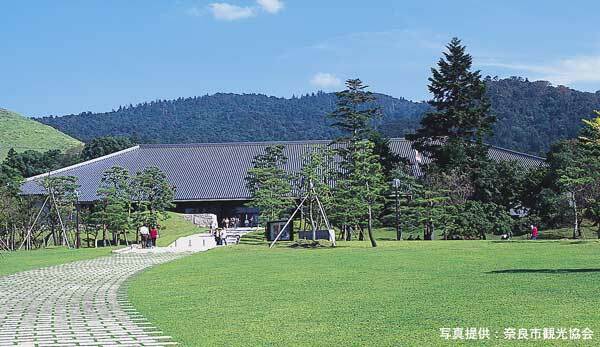 Many world heritage properties including Todaiji-temple and Kasugataisha-shrine are within walking distance of this forum.